Watercolor and 005 archival pen on 5x7" paper. Very charming! They look like an idea for porcelain figurines! This is really sweet. Love the colours and patterning! I love love love it!! Adorable creatures and beautiful patterns!! Good phrase to live by. Cute detail work. Tattooed snails? Cute & unusual - very nice! Love Love LOOOOOOOOOOVE! The colors and patterns are magnificent! Dear Afi !! Just what I needed "Keep Calm and carry on", it's beautiful! Good Luck! So beautiful!! 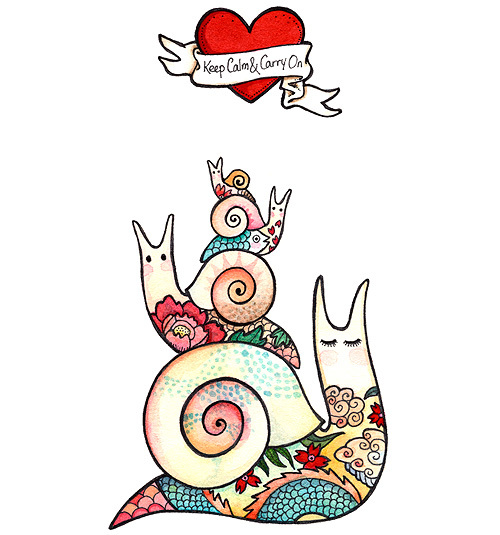 I love love LOVE the design on the snail's body. =D So beautifully drawn and illustrated! oooo...I love it! So so cute! Dearest Afi, these are sooo gorgeous! I really adore everything you create and paint! I especially love that "keep calm and carry on"!! Would love to have that with me in my little studio! Have a lovely merry happy weekend and love to you! 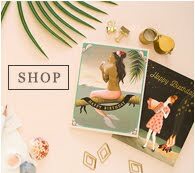 p/s: Sorrry for i have not reply our etsy convo! I've been really busy these days but it's the weekend and i will be sending you a reply soon! Gorgeous! I don't think I'll ever get over how cute your snails are! I hope you don't mind but I put a post on my blog introducing you to my Turkish friends. Polymer clay is becoming popular over here, so I wanted to show people what they can do.